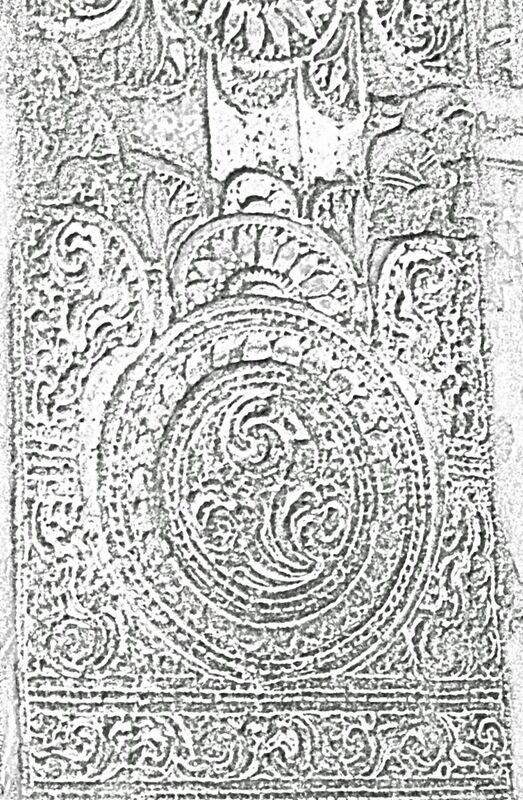 Here are a few sketches and designs of the carvings found inside the ancient Ajanta Caves. These works were made from the 2nd century BC to the 5th century AD. 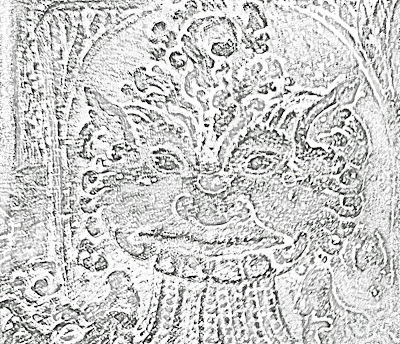 These sketches are based on the photographs of Stone carvings and frescoes from Ajanta Caves. 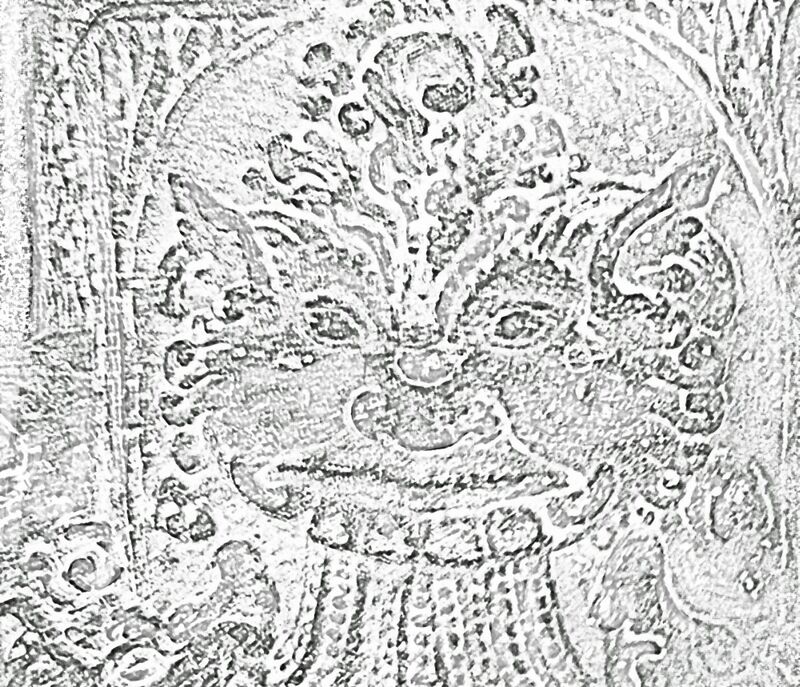 Many of the designs are found on ornately decorated pillars, and the face here looks part animal and part human. 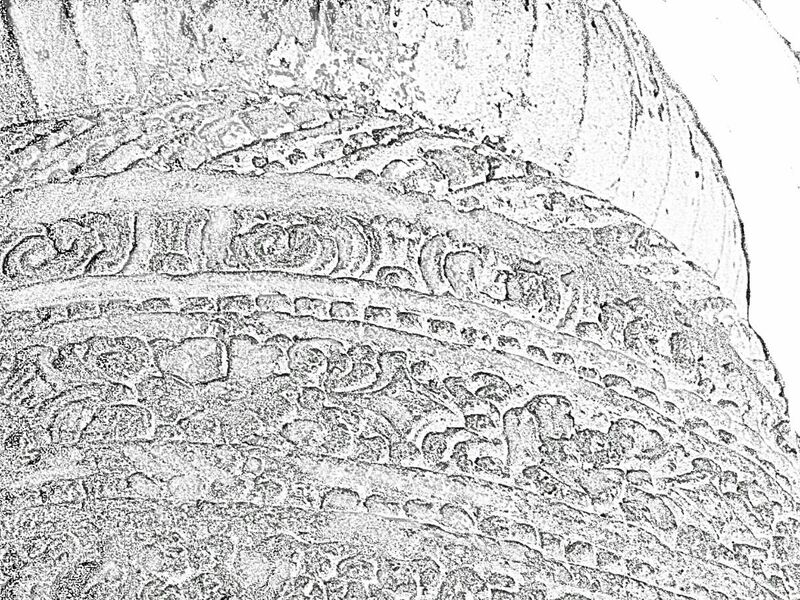 Here are some pencil drawings of floral designs on Ajanta pillars. 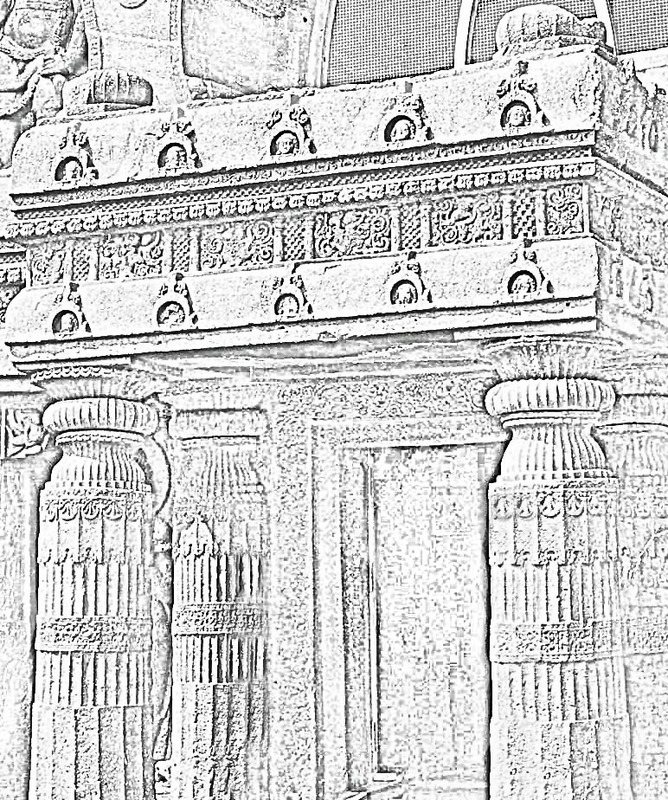 This sketch is one of the ornate entrances to one of the temples. 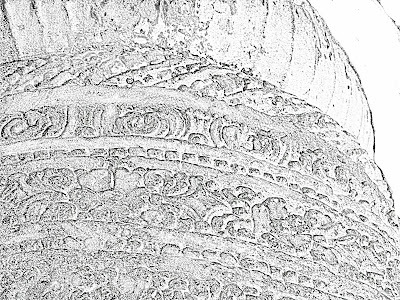 The intricate designs on the slab above the pillars can be seen. 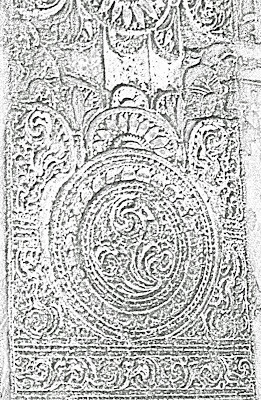 This floral motif sketch depicts one of the designs from the pillars of the temples at Ajanta. See more posts on Ajanta, including the famous Ajanta Paintings. 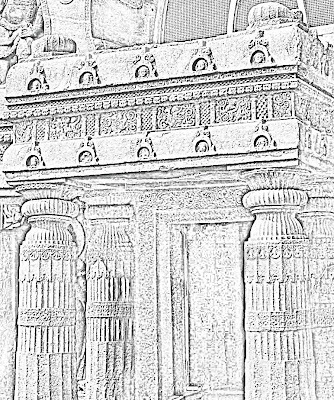 Check out the posts on the famous temples of Ellora.